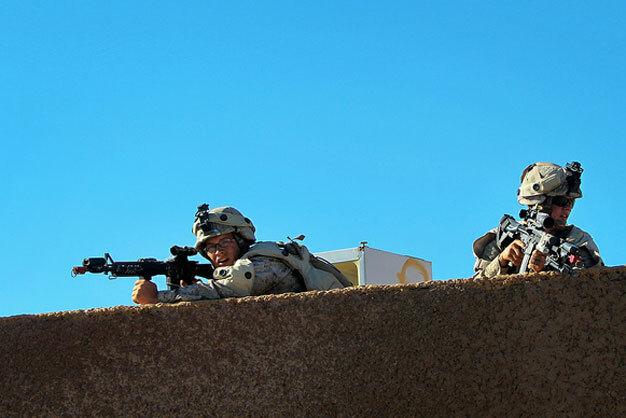 Lance Corporals Jon Wiseman and Sean Nearing, with Company L, 3rd Battalion, 6th Marines, 2nd Marine Division, provide security from a rooftop during Military Operations in Urban Terrain training, at Marine Corps Air Station in Yuma, Ariz. Oct. 22, 2012. U.S. Marine Corps photo by Sgt. Steve Cushman.